ComEd is helping to make spring cleaning a little easier this season for its customers with their Fridge and Freezer Recycling Program. Fridge and Freezer Recycling is part of ComEd’s Energy Efficiency Program, offering ComEd customers a hassle-free way to recycle their old, energy-wasting appliances. Old refrigerators and freezers can consume as much as four times more energy than newer models and could cost customers up to $150 annually in energy usage. Through ComEd’s Fridge & Freezer Recycling Program, customers can schedule a free pickup of their old, working fridge or freezer and receive $50 for allowing ComEd to recycle it in an environmentally responsible way. After the old appliance is picked up, customers will receive their $50 incentive and start saving on their energy bills. 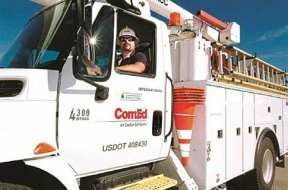 Since 2008, ComEd’s Energy Efficiency Program has helped customers save more than $2 billion and through Fridge and Freezer Recycling, more than 330,000 units have been responsibly recycled, keeping more than 21,500 tons of metal, 4,100 tons of plastic and 800 tons of glass out of local landfills. 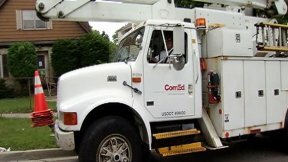 For more information on the ComEd Energy Efficiency Program, visit ComEd.com/HomeSavings for residential customers and ComEd.com/BizSavings for business customers.